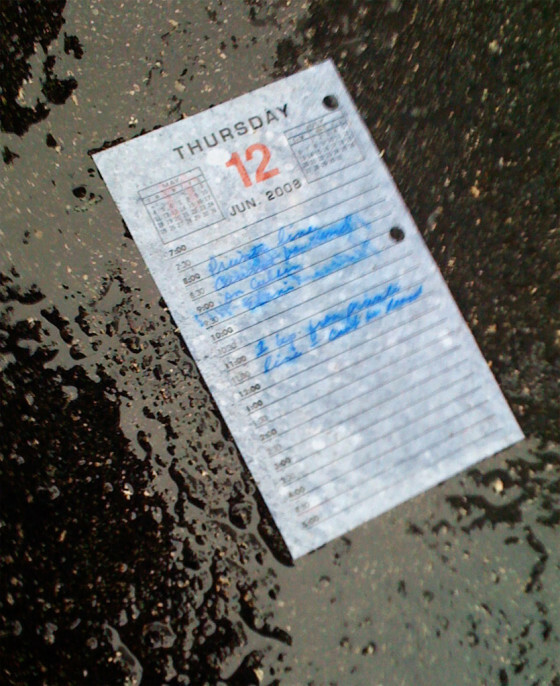 Record a piece of music that slowly improves, in tribute to the late Harold Ramis' film Groundhog Day. This project was published in the evening, California time, on Thursday, February 27, with 11:59pm on the following Monday, Marc 3, 2014, as the deadline. This week’s project is dedictaed to the late Harold Ramis, and it takes as its theme his film Groundhog Day. In the film, the character played by Bill Murray gets up each morning and hears the same song on the clock radio. As the film proceeds, Murray’s character relives the same day over and over, slowly perfecting the day by making mistakes and then learning from his mistakes. This composition prompt is informed by that narrative. Step 2: Record a composition that follows the following format. You will play a few seconds of the track, and then insert a “mistake,” pushing the original composition in a direction other than the one documented in the recording. This “mistake” will proceed for a few seconds. Step 3: The original composition will then be heard to begin again, from the start, and will play from the beginning for a few seconds more than the first time; again, when it reaches a certain point, you will insert a “mistake” and let it play for a few seconds. Step 4: You will repeat this process several times, each time adding a little bit of the original recording, until the recording finally is heard to play in full. Deadline: Monday, March 3, 2014, at 11:59pm wherever you are. 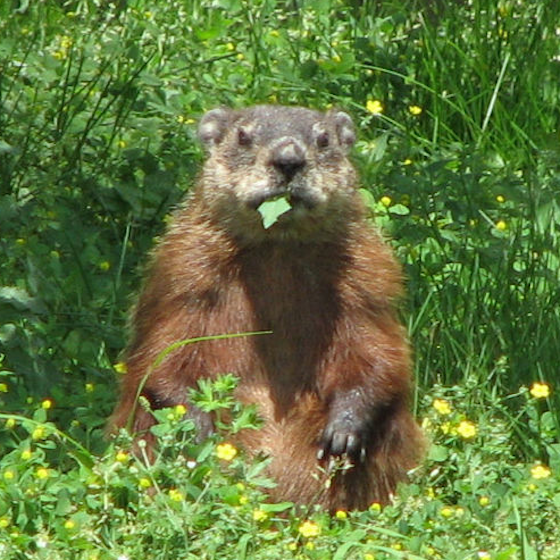 Title/Tag: When adding your track to the Disquiet Junto group on Soundcloud.com, please include the term “disquiet0113-prettygroundhog”in the title of your track, and as a tag for your track. 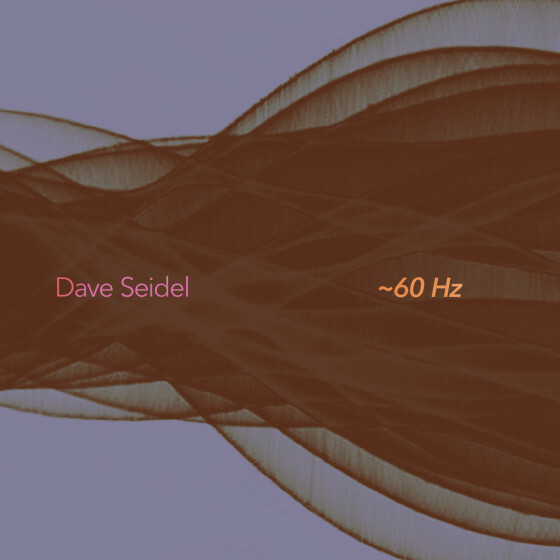 Dave Seidel has released an album composed of sine waves, those near and about the ~60 Hz range. That’s the title of his album, ~60 Hz, and I was honored to be asked by him to write a liner note for the record’s release. The digital version went live today at irritablehedgehog.com, and CDs are for sale as well. The label, run by David D. McIntire, has released music by William Duckworth, Jürg Frey, Eva-Maria Houben, and Dennis Johnson, among others. The operative information in the title is the tilde. The tilde means “sort of”or “nearly”or “in the neighborhood of.”What follows the tilde in the title are two digits and a pair of consonants, which collectively symbolize the neighborhood in question. What the “60Hz”refers to is a sine wave, categorically perhaps the simplest sound imaginable, a constant of equally balanced ebb and flow. The 60Hz does not merely refer to a sine wave. The 60Hz describes the sine wave succinctly. The contours of the sine wave are beside the point, because they are immutable, an eternal skatepark up and down and up that seems to have begun before time and that will continue after the heat death of the universe. What the 60Hz describes, however, is the nature of this exact sine wave, specifically what might more colloquially be referred to as its pace. The Hz in the title stands for the measurement Hertz, which is the number of wave cycles that occur in a single second. Thus, a 60Hz waveform cycles through 60 times in one single second. 60 per second of anything may signal speediness, but 60Hz proves quite lulling. The wave veers up and down, weaving sonic wool, a thick blanket of hazy warm noise that the ear succumbs to, and then the mind, and then the body. If the wave resembles the distant hum of a power line, that is because 60Hz is the standard frequency of the power infrastructure in the United States. If it does not sound like the whir of municipal undercurrent, that may be because you live elsewhere. Even waveforms have terroir. The tilde in the title is the operative information because the tilde means that the sounds heard will, in fact, not stick to the 60Hz frequency. They will, instead, hover around 60Hz. What the little tilde means is that the listener will witness the resulting shifts and hedges, veering and layering, collisions and parallels as waveforms are added and set in contrast to each other. These contrasts will yield all manner of aural patterning. In lesser hands, the patterns would have all the gee-whiz lab-coat charm of a 1950s stereo system vinyl test album. But these waves are not in lesser hands. They are in Dave Seidel’s hands. What we hear is the simplest sound form yielding myriad, tantalizing moiré patterns. Some of these patterns suggest the fervid activity of insectoid communication, others the humble drone of a mumbled mantra. There are pointilist percussive effects, and tones like nothing so much as a masterful solo organ recital. There are phase shifts like a Steve Reich violin piece, and torquing structures like an industrial rock band playing its third encore on the last night of a tour. And there are echoes, of course, of science fiction. This is electronic music in the purest sense, electricity revealing itself as sound — science transmuted into art. One hears Bebe Barron and Louis Barron’s work on the Forbidden Planet soundtrack. One hears the note accrual inherent in the opening of the original Star Trek theme. One hears the hum of a lonesome space station while its inhabitants are deep in a timeless, cryogenic state. For all the associative mind games, what is heard is simply a handful of notes taking the concept of minimalism at its word. The operative information in the title is the tilde, the tilde that itself rightfully resembles a tiny typographic sine wave. Get the release at irritablehedgehog.com. More at Seidel’s website, mysterybear.net. I’ll post references to my Aphex Twin 33 1/3 Selected Ambient Works Volume II book on occasion. Here’s a batch that occurred during the book’s first week of publication. It came out on February 13, a week ago today. If the ghost of figures like Eno inevitably hangs over anything that could be called ambient – much less a term that at the time seemed to only be a bad joke of a hangover, new age – what James did here, like others elsewhere, was to translate the impulse and suggest other ways to work with it. Miles away from ‘Digideridoo’, a whole universe away from ‘Windowlicker’ or ‘Girl/Boy’, it’s as close to ambience as gentle balm as one could want, but even then it’s not really that, enveloping in its stripped down beauty but so stately, so focused, warm and cold at the same time. Weidenbaum hits this point that’s easy to forget, yet is terribly clear — there is rhythm throughout the album, actual beats at points as noted, but more often creating the kind of intertwined obsessive exploration that seemed – at least to me at the time – to be matched solely by the work Robert Hampson was doing more and more via Main. Where that duo, and eventually solo act, had as its sometime motto ‘drumless space’, there was never absence of rhythms, the space was disciplined, shaped and mutated constantly, an ever shifting nervousness. James had his own approach, and comparatively SAWII is more recognisably a world of ‘songs’, shorter in length, focused on key fragments or elements that never departed. But the further you went in, the further it wasn’t drumless space indeed – it was often just space. A black cold space, seemingly antithetical to the white cold space of the sleeves, but just as alien, and just as unnerving. There was such a strong series of reader comments on the Quietus post and over on a thread at Facebook, that Ragett did a follow-up post on his Tumblr account. @_markrichardson @disquiet curious what you will think. love how it evokes the way music circa 1994 was suffused with unknowable data. In his book, Weidenbaum describes SAW2’s sonic quality as “vaporous”—“hovering waves of sound” that float and rise and roil in a kind of haze or passing mist. But even in its relative shapelessness, Aphex Twin (the nom de plume of English musician Richard D. James) helped shaped a perspective on music that Weidenbaum seeks to refine for the audience of novice listeners and ardent fans alike. In his new book-length study of SAW2 for Bloomsbury’s 33 1/3 series, Marc Weidenbaum accurately observed that it “is a monolith of an album, but one in the manner of Stanley Kubrick’s 2001: A Space Odyssey, one that reflects back the viewer’s impression”¦. It is an intense album of fragile music.”And it is seemingly impossible to get sick of it. So many people have told me that they would play SAW2 every day for long stretches of time. Turn your week's dayplanner into music. This project was published in the evening, California time, on Thursday, February 20, with 11:59pm on the following Monday, February 24, 2014, as the deadline. This week’s instruction is simple: Your past week’s calendar (February 13 – February 19) is your score. Each hour is a note or chord. Each quarter day is a measure. Please post an image of your calendar in the process — feel free, of course, to block out anything personal you don’t want to share. Deadline: Monday, February 24, 2014, at 11:59pm wherever you are. Title/Tag: When adding your track to the Disquiet Junto group on Soundcloud.com, please include the term “disquiet0112-calendrical”in the title of your track, and as a tag for your track.